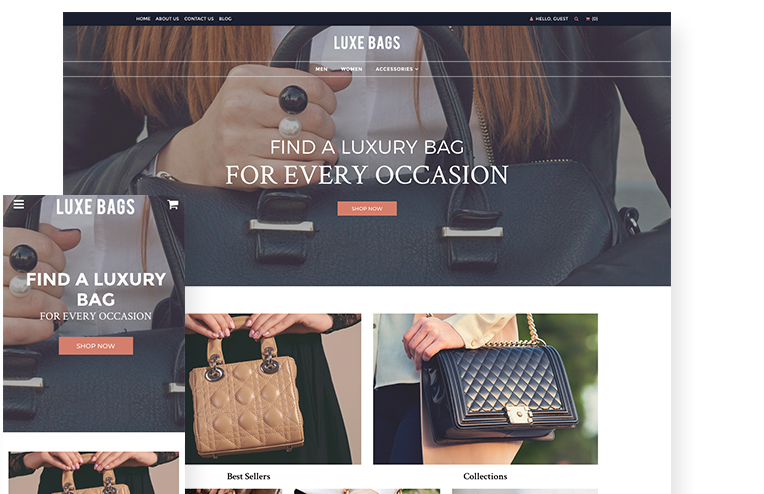 Luxe Bags is a theme designed to bring your luxury handbags and accessories into the spotlight. 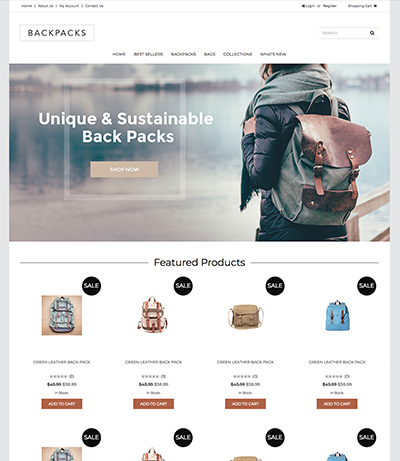 With room for several large images and prominent banners, Luxe Bags is a fantastic theme for showing off the fine detailing in high-quality products. Classic lines and neutral coloring make it the perfect theme for selling both men's and women's items. 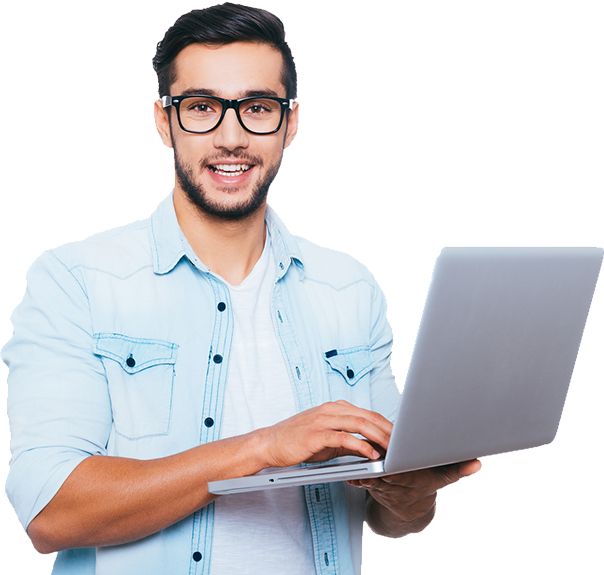 Moused-over images present a subtle zoom effect that gives your website a compelling tactile feel, while links to your best sellers or other categories are displayed with images that slide smoothly onto the screen, drawing the eye toward them. Luxe Bags is a theme meant to display quality in its highest form. 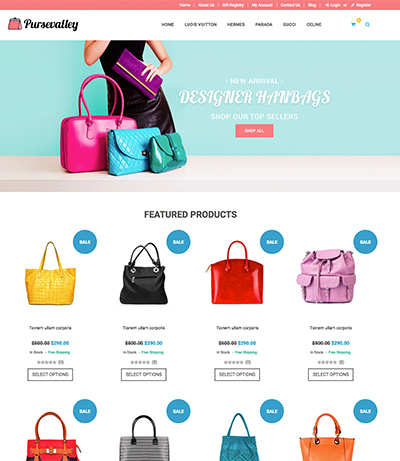 Want to do some deep customization to Luxe Bags or any of our themes? Ask us how 3dcart can help fine-tune any theme just for your brand.